The evolutionary emergence of language in the human species has been a subject of speculation for several centuries. The topic is difficult to study because of the lack of direct evidence. Consequently, scholars wishing to study the origins of language must draw inferences from other kinds of evidence such as the fossil record, archaeological evidence, contemporary language diversity, studies of language acquisition, and comparisons between human language and systems of communication existing among animals (particularly other primates). Many argue that the origins of language probably relate closely to the origins of modern human behavior, but there is little agreement about the implications and directionality of this connection. This shortage of empirical evidence has led many scholars to regard the entire topic as unsuitable for serious study. In 1866, the Linguistic Society of Paris banned any existing or future debates on the subject, a prohibition which remained influential across much of the Western world until late in the twentieth century. Today, there are various hypotheses about how, why, when, and where language might have emerged. Despite this, there is scarcely more agreement today than a hundred years ago, when Charles Darwin's theory of evolution by natural selection provoked a rash of armchair speculation on the topic. Since the early 1990s, however, a number of linguists, archaeologists, psychologists, anthropologists, and others have attempted to address with new methods what some consider one of the hardest problems in science. Noam Chomsky, a prominent proponent of discontinuity theory, argues that a single chance mutation occurred in one individual in the order of 100,000 years ago, installing the language faculty (a component of the mid-brain) in "perfect" or "near-perfect" form. A majority of linguistic scholars as of 2018[update] hold continuity-based theories, but they vary in how they envision language development. Among those who see language as mostly innate, some—notably Steven Pinker—avoid speculating about specific precursors in nonhuman primates, stressing simply that the language faculty must have evolved in the usual gradual way. Others in this intellectual camp—notably Ib Ulbæk—hold that language evolved not from primate communication but from primate cognition, which is significantly more complex. The time range for the evolution of language and/or its anatomical prerequisites extends, at least in principle, from the phylogenetic divergence of Homo (2.3 to 2.4 million years ago) from Pan (5 to 6 million years ago) to the emergence of full behavioral modernity some 50,000–150,000 years ago. Few dispute that Australopithecus probably lacked vocal communication significantly more sophisticated than that of great apes in general, but scholarly opinions vary as to the developments since the appearance of Homo some 2.5 million years ago. Some scholars assume the development of primitive language-like systems (proto-language) as early as Homo habilis, while others place the development of symbolic communication only with Homo erectus (1.8 million years ago) or with Homo heidelbergensis (0.6 million years ago) and the development of language proper with Homo sapiens, currently estimated at less than 200,000 years ago. Using statistical methods to estimate the time required to achieve the current spread and diversity in modern languages, Johanna Nichols—a linguist at the University of California, Berkeley—argued in 1998 that vocal languages must have begun diversifying in our species at least 100,000 years ago. A further study by Q. D. Atkinson suggests that successive population bottlenecks occurred as our African ancestors migrated to other areas, leading to a decrease in genetic and phenotypic diversity. Atkinson argues that these bottlenecks also affected culture and language, suggesting that the further away a particular language is from Africa, the fewer phonemes it contains. By way of evidence, Atkinson claims that today's African languages tend to have relatively large numbers of phonemes, whereas languages from areas in Oceania (the last place to which humans migrated), have relatively few. Relying heavily on Atkinson's work, a subsequent study has explored the rate at which phonemes develop naturally, comparing this rate to some of Africa's oldest languages. The results suggest that language first evolved around 50,000–150,000 years ago, which is around the time when modern Homo sapiens evolved. Estimates of this kind are not universally accepted, but jointly considering genetic, archaeological, palaeontological and much other evidence indicates that language probably emerged somewhere in sub-Saharan Africa during the Middle Stone Age, roughly contemporaneous with the speciation of Homo sapiens. Most scholars today consider all such theories not so much wrong—they occasionally offer peripheral insights—as naïve and irrelevant. The problem with these theories is that they are so narrowly mechanistic. They assume that once our ancestors had stumbled upon the appropriate ingenious mechanism for linking sounds with meanings, language automatically evolved and changed. Words are easy to fake. Should they turn out to be lies, listeners will adapt by ignoring them in favor of hard-to-fake indices or cues. For language to work, then, listeners must be confident that those with whom they are on speaking terms are generally likely to be honest. A peculiar feature of language is "displaced reference", which means reference to topics outside the currently perceptible situation. This property prevents utterances from being corroborated in the immediate "here" and "now". For this reason, language presupposes relatively high levels of mutual trust in order to become established over time as an evolutionarily stable strategy. This stability is born of a longstanding mutual trust and is what grants language its authority. A theory of the origins of language must therefore explain why humans could begin trusting cheap signals in ways that other animals apparently cannot (see signalling theory). The "mother tongues" hypothesis was proposed in 2004 as a possible solution to this problem. W. Tecumseh Fitch suggested that the Darwinian principle of 'kin selection'—the convergence of genetic interests between relatives—might be part of the answer. Fitch suggests that languages were originally 'mother tongues'. If language evolved initially for communication between mothers and their own biological offspring, extending later to include adult relatives as well, the interests of speakers and listeners would have tended to coincide. Fitch argues that shared genetic interests would have led to sufficient trust and cooperation for intrinsically unreliable signals—words—to become accepted as trustworthy and so begin evolving for the first time. Critics of this theory point out that kin selection is not unique to humans. So even if one accepts Fitch's initial premises, the extension of the posited 'mother tongue' networks from close relatives to more distant relatives remains unexplained. Fitch argues, however, that the extended period of physical immaturity of human infants and the postnatal growth of the human brain give the human-infant relationship a different and more extended period of intergenerational dependency than that found in any other species. The ritual/speech coevolution theory was originally proposed by social anthropologist Roy Rappaport before being elaborated by anthropologists such as Chris Knight, Jerome Lewis, Nick Enfield, Camilla Power and Ian Watts. Cognitive scientist and robotics engineer Luc Steels is another prominent supporter of this general approach, as is biological anthropologist/neuroscientist Terrence Deacon. These scholars argue that there can be no such thing as a 'theory of the origins of language'. This is because language is not a separate adaptation but an internal aspect of something much wider—namely, human symbolic culture as a whole. Attempts to explain language independently of this wider context have spectacularly failed, say these scientists, because they are addressing a problem with no solution. Can we imagine a historian attempting to explain the emergence of credit cards independently of the wider system of which they are a part? Using a credit card makes sense only if you have a bank account institutionally recognized within a certain kind of advanced capitalist society—one where electronic communications technology and digital computers have already been invented and fraud can be detected and prevented. In much the same way, language would not work outside a specific array of social mechanisms and institutions. For example, it would not work for a nonhuman ape communicating with others in the wild. Not even the cleverest nonhuman ape could make language work under such conditions. Advocates of this school of thought point out that words are cheap. As digital hallucinations[clarification needed], they are intrinsically unreliable. Should an especially clever nonhuman ape, or even a group of articulate nonhuman apes, try to use words in the wild, they would carry no conviction. The primate vocalizations that do carry conviction—those they actually use—are unlike words, in that they are emotionally expressive, intrinsically meaningful and reliable because they are relatively costly and hard to fake. Structural linguistics is an approach to the study of language founded by Ferdinand de Saussure and popularised through his posthumously published book Course in General Linguistics (1916). According to Chomsky's single mutation theory, the emergence of language resembled the formation of a crystal; with digital infinity as the seed crystal in a super-saturated primate brain, on the verge of blossoming into the human mind, by physical law, once evolution added a single small but crucial keystone. Whilst some suggest it follows from this theory that language appeared rather suddenly within the history of human evolution, Chomsky, writing with computational linguist and computer scientist Robert C. Berwick, suggests it is completely compatible with modern biology. They note "none of the recent accounts of human language evolution seem to have completely grasped the shift from conventional Darwinism to its fully stochastic modern version—specifically, that there are stochastic effects not only due to sampling like directionless drift, but also due to directed stochastic variation in fitness, migration, and heritability—indeed, all the "forces" that affect individual or gene frequencies. ... All this can affect evolutionary outcomes—outcomes that as far as we can make out are not brought out in recent books on the evolution of language, yet would arise immediately in the case of any new genetic or individual innovation, precisely the kind of scenario likely to be in play when talking about language's emergence." Citing evolutionary geneticist Svante Pääbo they concur that a substantial difference must have occurred to differentiate Homo sapiens from Neanderthals to "prompt the relentless spread of our species who had never crossed open water up and out of Africa and then on across the entire planet in just a few tens of thousands of years. ... What we do not see is any kind of "gradualism" in new tool technologies or innovations like fire, shelters, or figurative art." Berwick and Chomsky therefore suggest language emerged approximately between 200,000 years ago and 60,000 years ago (between the arrival of the first anatomically modern humans in southern Africa, and the last exodus from Africa, respectively). "That leaves us with about 130,000 years, or approximately 5,000–6,000 generations of time for evolutionary change. This is not 'overnight in one generation' as some have (incorrectly) inferred—but neither is it on the scale of geological eons. It's time enough—within the ballpark for what Nilsson and Pelger (1994) estimated as the time required for the full evolution of a vertebrate eye from a single cell, even without the invocation of any 'evo-devo' effects." Proponents of the motor theory of language evolution have primarily focused on the visual domain and communication through observation of movements. The Tool-use sound hypothesis suggests that the production and perception of sound also contributed substantially, particularly incidental sound of locomotion (ISOL) and tool-use sound (TUS). Human bipedalism resulted in rhythmic and more predictable ISOL. That may have stimulated the evolution of musical abilities, auditory working memory, and abilities to produce complex vocalizations, and to mimic natural sounds. Since the human brain proficiently extracts information about objects and events from the sounds they produce, TUS, and mimicry of TUS, might have achieved an iconic function. The prevalence of sound symbolism in many extant languages supports this idea. Self-produced TUS activates multimodal brain processing (motor neurons, hearing, proprioception, touch, vision), and TUS stimulates primate audiovisual mirror neurons, which is likely to stimulate the development of association chains. Tool use and auditory gestures involve motor-processing of the forelimbs, which is associated with the evolution of vertebrate vocal communication. The production, perception, and mimicry of TUS may have resulted in a limited number of vocalizations or protowords that were associated with tool use. A new way to communicate about tools, especially when out of sight, would have had selective advantage. A gradual change in acoustic properties and/or meaning could have resulted in arbitrariness and an expanded repertoire of words. Humans have been increasingly exposed to TUS over millions of years, coinciding with the period during which spoken language evolved. In humans, functional MRI studies have reported finding areas homologous to the monkey mirror neuron system in the inferior frontal cortex, close to Broca's area, one of the language regions of the brain. This has led to suggestions that human language evolved from a gesture performance/understanding system implemented in mirror neurons. Mirror neurons have been said to have the potential to provide a mechanism for action-understanding, imitation-learning, and the simulation of other people's behavior. This hypothesis is supported by some cytoarchitectonic homologies between monkey premotor area F5 and human Broca's area. Rates of vocabulary expansion link to the ability of children to vocally mirror non-words and so to acquire the new word pronunciations. Such speech repetition occurs automatically, quickly and separately in the brain to speech perception. Moreover, such vocal imitation can occur without comprehension such as in speech shadowing and echolalia. Further evidence for this link comes from a recent study in which the brain activity of two participants was measured using fMRI while they were gesturing words to each other using hand gestures with a game of charades—a modality that some have suggested might represent the evolutionary precursor of human language. Analysis of the data using Granger Causality revealed that the mirror-neuron system of the observer indeed reflects the pattern of activity of in the motor system of the sender, supporting the idea that the motor concept associated with the words is indeed transmitted from one brain to another using the mirror system. The ‘from where to what’ model is a language evolution model that is derived primarily from the organization of language processing in the brain and two of its structures: the auditory dorsal stream and the auditory ventral stream. It hypotheses 7 stages of language evolution (see illustration). Speech originated for the purpose of exchanging contact calls between mothers and their offspring to find one another in the event they became separated (illustration part 1). The contact calls could be modified with intonations in order to express either a higher or lower level of distress (illustration part 2). The use of two types of contact calls enabled the first question-answer conversation. In this scenario, the child would emit a low-level distress call to express a desire to interact with an object, and the mother would respond with either another low-level distress call (to express approval of the interaction) or a high-level distress call (to express disapproval) (illustration part 3). Over time, the improved use of intonations and vocal control led to the invention of unique calls (phonemes) associated with distinct objects (illustration part 4). At first, children learned the calls (phonemes) from their parents by imitating their lip-movements (illustration part 5). Eventually, infants were able to encode into long-term memory all the calls (phonemes). Consequentially, mimicry via lip-reading was limited to infancy and older children learned new calls through mimicry without lip-reading (illustration part 6). Once individuals became capable of producing a sequence of calls, this allowed multi-syllabic words, which increased the size of their vocabulary (illustration part 7). The use of words, composed of sequences of syllables, provided the infra structure for communicating with sequences of words (i.e., sentences). Human language is used for self-expression; however, expression displays different stages. The consciousness of self and feelings represents the stage immediately prior to the external, phonetic expression of feelings in the form of sound, i.e., language. Intelligent animals such as dolphins, Eurasian magpies, and chimpanzees live in communities, wherein they assign themselves roles for group survival and show emotions such as sympathy. When such animals view their reflection (mirror test), they recognize themselves and exhibit self-consciousness. Notably, humans evolved in a quite different environment than that of these animals. Human survival became easier with the development of tools, shelter, and fire, thus facilitating further advancement of interaction, self-expression, and tool-making. The increasing brain size allowed advanced provisioning and tools and the technological advances during the Palaeolithic era that built upon the previous evolutionary innovations of bipedalism and hand versatility allowed the development of human language. According to a study investigating the song differences between white-rumped munias and its domesticated counterpart (Bengalese finch), the wild munias use a highly stereotyped song sequence, whereas the domesticated ones sing a highly unconstrained song. In wild finches, song syntax is subject to female preference—sexual selection—and remains relatively fixed. However, in the Bengalese finch, natural selection is replaced by breeding, in this case for colorful plumage, and thus, decoupled from selective pressures, stereotyped song syntax is allowed to drift. It is replaced, supposedly within 1000 generations, by a variable and learned sequence. Wild finches, moreover, are thought incapable of learning song sequences from other finches. In the field of bird vocalization, brains capable of producing only an innate song have very simple neural pathways: the primary forebrain motor center, called the robust nucleus of arcopallium, connects to midbrain vocal outputs, which in turn project to brainstem motor nuclei. By contrast, in brains capable of learning songs, the arcopallium receives input from numerous additional forebrain regions, including those involved in learning and social experience. Control over song generation has become less constrained, more distributed, and more flexible. The ability to ask questions is considered by some to distinguish language from non-human systems of communication. Some captive primates (notably bonobos and chimpanzees), having learned to use rudimentary signing to communicate with their human trainers, proved able to respond correctly to complex questions and requests. Yet they failed to ask even the simplest questions themselves. Conversely, human children are able to ask their first questions (using only question intonation) at the babbling period of their development, long before they start using syntactic structures. Although babies from different cultures acquire native languages from their social environment, all languages of the world without exception—tonal, non-tonal, intonational and accented—use similar rising "question intonation" for yes–no questions. This fact is a strong evidence of the universality of question intonation. In general, according to some authors, sentence intonation/pitch is pivotal in spoken grammar and is the basic information used by children to learn the grammar of whatever language. Simon Baron-Cohen (1999) argues that theory of mind must have preceded language use, based on evidence[clarification needed] of use of the following characteristics as much as 40,000 years ago: intentional communication, repairing failed communication, teaching, intentional persuasion, intentional deception, building shared plans and goals, intentional sharing of focus or topic, and pretending. Moreover, Baron-Cohen argues that many primates show some, but not all, of these abilities. Call and Tomasello's research on chimpanzees supports this, in that individual chimps seem to understand that other chimps have awareness, knowledge, and intention, but do not seem to understand false beliefs. Many primates show some tendencies toward a theory of mind, but not a full one as humans have. Ultimately, there is some consensus within the field that a theory of mind is necessary for language use. Thus, the development of a full theory of mind in humans was a necessary precursor to full language use. In one particular study, rats and pigeons were required to press a button a certain number of times to get food. The animals showed very accurate distinction for numbers less than four, but as the numbers increased, the error rate increased. Matsuzawa (1985) attempted to teach chimpanzees Arabic numerals. The difference between primates and humans in this regard was very large, as it took the chimps thousands of trials to learn 1–9 with each number requiring a similar amount of training time; yet, after learning the meaning of 1, 2 and 3 (and sometimes 4), children easily comprehend the value of greater integers by using a successor function (i.e. 2 is 1 greater than 1, 3 is 1 greater than 2, 4 is 1 greater than 3; once 4 is reached it seems most children have an "a-ha!" moment and understand that the value of any integer n is 1 greater than the previous integer). Put simply, other primates learn the meaning of numbers one by one, similar to their approach to other referential symbols, while children first learn an arbitrary list of symbols (1, 2, 3, 4...) and then later learn their precise meanings. These results can be seen as evidence for the application of the "open-ended generative property" of language in human numeral cognition. Pidgins are significantly simplified languages with only rudimentary grammar and a restricted vocabulary. In their early stage, pidgins mainly consist of nouns, verbs, and adjectives with few or no articles, prepositions, conjunctions or auxiliary verbs. Often the grammar has no fixed word order and the words have no inflection. Regarding articulation, there is considerable speculation about the language capabilities of early Homo (2.5 to 0.8 million years ago). Anatomically, some scholars believe features of bipedalism, which developed in australopithecines around 3.5 million years ago, would have brought changes to the skull, allowing for a more L-shaped vocal tract. 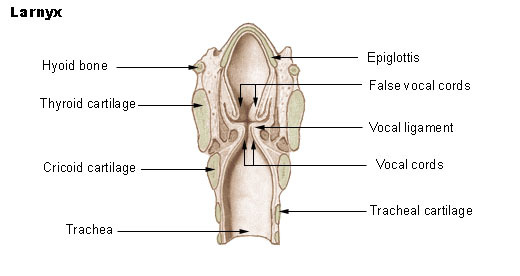 The shape of the tract and a larynx positioned relatively low in the neck are necessary prerequisites for many of the sounds humans make, particularly vowels. Other scholars believe that, based on the position of the larynx, not even Neanderthals had the anatomy necessary to produce the full range of sounds modern humans make. It was earlier proposed that differences between Homo sapiens and Neanderthal vocal tracts could be seen in fossils, but the finding that the Neanderthal hyoid bone (see below) was identical to that found in Homo sapiens has weakened these theories. Still another view considers the lowering of the larynx as irrelevant to the development of speech. In 2011, Quentin Atkinson published a survey of phonemes from 500 different languages as well as language families and compared their phonemic diversity by region, number of speakers and distance from Africa. The survey revealed that African languages had the largest number of phonemes, and Oceania and South America had the smallest number. After allowing for the number of speakers, the phonemic diversity was compared to over 2000 possible origin locations. Atkinson's "best fit" model is that language originated in central and southern Africa between 80,000 and 160,000 years ago. This predates the hypothesized southern coastal peopling of Arabia, India, southeast Asia, and Australia. It would also mean that the origin of language occurred at the same time as the emergence of symbolic culture. History contains a number of anecdotes about people who attempted to discover the origin of language by experiment. The first such tale was told by Herodotus (Histories 2.2). He relates that Pharaoh Psammetichus (probably Psammetichus I, 7th century BC) had two children raised by a shepherd, with the instructions that no one should speak to them, but that the shepherd should feed and care for them while listening to determine their first words. When one of the children cried "bekos" with outstretched arms the shepherd concluded that the word was Phrygian, because that was the sound of the Phrygian word for "bread". From this, Psammetichus concluded that the first language was Phrygian. King James V of Scotland is said to have tried a similar experiment; his children were supposed to have spoken Hebrew. ^ Pinker, S.; Bloom, P. (1990). "Natural language and natural selection". Behavioral and Brain Sciences. 13 (4): 707–784. doi:10.1017/S0140525X00081061. Archived from the original on 2005-11-23. ^ a b c Vaneechoutte, Mario (2014). "The Origin of Articulate Language Revisited: The Potential of a Semi-Aquatic Past of Human Ancestors to Explain the Origin of Human Musicality and Articulate Language" (PDF). Human Evolution. 29: 1–33. ^ a b c Knight, C. (2008). "'Honest fakes' and language origins" (PDF). Journal of Consciousness Studies. 15 (10–11): 236–48. ^ a b Perreault, C.; Mathew, S. (2012). "Dating the origin of language using phonemic diversity". PLoS ONE. 7 (4): e35289. Bibcode:2012PLoSO...735289P. doi:10.1371/journal.pone.0035289. PMC 3338724. PMID 22558135. ^ von Heiseler, Till Nikolaus (2014). "Language evolved for storytelling in a super-fast evolution". In R. L. C. Cartmill (ed.). Evolution of Language. London: World Scientific. pp. 114–121. ^ Power, C. (1998). "Old wives' tales: the gossip hypothesis and the reliability of cheap signals". In J. R. Hurford; M. Studdert Kennedy; C. Knight (eds.). Approaches to the Evolution of Language: Social and Cognitive Bases. Cambridge: Cambridge University Press. pp. 111 29. ^ Enfield, N. J. (2010). "Without social context?" (PDF). Science. 329 (5999): 1600–1601. Bibcode:2010Sci...329.1600E. doi:10.1126/science.1194229. ^ Larsson, M (2014). "Self-generated sounds of locomotion and ventilation and the evolution of human rhythmic abilities". Animal Cognition. 17: 1–14. doi:10.1007/s10071-013-0678-z. PMC 3889703. ^ Schippers, MB; Roebroeck, A; Renken, R; Nanetti, L; Keysers, C (2010). "Mapping the Information flow from one brain to another during gestural communication". Proc Natl Acad Sci U S A. 107 (20): 9388–93. Bibcode:2010PNAS..107.9388S. doi:10.1073/pnas.1001791107. PMC 2889063. PMID 20439736. ^ a b Falk, D. (Aug 2004). 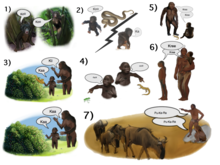 "Prelinguistic evolution in early hominins: whence motherese?" (PDF). Behav Brain Sci. 27 (4): 491–503, discussion 503–83. doi:10.1017/s0140525x04000111. PMID 15773427. ^ Poliva, Oren (2017-09-20). "From where to what: a neuroanatomically based evolutionary model of the emergence of speech in humans". F1000Research. 4: 67. doi:10.12688/f1000research.6175.3. ISSN 2046-1402. PMC 5600004. ^ Poliva, Oren (2016-06-30). "From Mimicry to Language: A Neuroanatomically Based Evolutionary Model of the Emergence of Vocal Language". Frontiers in Neuroscience. 10. doi:10.3389/fnins.2016.00307. ISSN 1662-453X. ^ Scott, S. K. (2000-12-01). "Identification of a pathway for intelligible speech in the left temporal lobe". Brain. 123 (12): 2400–2406. doi:10.1093/brain/123.12.2400. ISSN 1460-2156. ^ Davis, Matthew H.; Johnsrude, Ingrid S. (2003-04-15). "Hierarchical Processing in Spoken Language Comprehension". The Journal of Neuroscience. 23 (8): 3423–3431. doi:10.1523/jneurosci.23-08-03423.2003. ISSN 0270-6474. ^ Petkov, Christopher I; Kayser, Christoph; Steudel, Thomas; Whittingstall, Kevin; Augath, Mark; Logothetis, Nikos K (2008-02-10). "A voice region in the monkey brain". Nature Neuroscience. 11 (3): 367–374. doi:10.1038/nn2043. ISSN 1097-6256. ^ Buchsbaum, Bradley R.; Baldo, Juliana; Okada, Kayoko; Berman, Karen F.; Dronkers, Nina; D’Esposito, Mark; Hickok, Gregory (December 2011). "Conduction aphasia, sensory-motor integration, and phonological short-term memory – An aggregate analysis of lesion and fMRI data". Brain and Language. 119 (3): 119–128. doi:10.1016/j.bandl.2010.12.001. ISSN 0093-934X. ^ Warren, Jane E.; Wise, Richard J.S. ; Warren, Jason D. (December 2005). "Sounds do-able: auditory–motor transformations and the posterior temporal plane". Trends in Neurosciences. 28 (12): 636–643. doi:10.1016/j.tins.2005.09.010. ISSN 0166-2236. ^ Campbell, Ruth (2008-03-12). "The processing of audio-visual speech: empirical and neural bases". Philosophical Transactions of the Royal Society of London B: Biological Sciences. 363 (1493): 1001–1010. doi:10.1098/rstb.2007.2155. ISSN 0962-8436. PMC 2606792. PMID 17827105. ^ Kayser, Christoph; Petkov, Christopher I.; Logothetis, Nikos K. (December 2009). "Multisensory interactions in primate auditory cortex: fMRI and electrophysiology". Hearing Research. 258 (1–2): 80–88. doi:10.1016/j.heares.2009.02.011. ISSN 0378-5955. ^ Hickok, Gregory; Buchsbaum, Bradley; Humphries, Colin; Muftuler, Tugan (2003-07-01). "Auditory–Motor Interaction Revealed by fMRI: Speech, Music, and Working Memory in Area Spt". Journal of Cognitive Neuroscience. 15 (5): 673–682. doi:10.1162/089892903322307393. ISSN 1530-8898. ^ Schwartz, M. F.; Faseyitan, O.; Kim, J.; Coslett, H. B. (2012-11-20). "The dorsal stream contribution to phonological retrieval in object naming". Brain. 135 (12): 3799–3814. doi:10.1093/brain/aws300. ISSN 0006-8950. PMC 3525060. PMID 23171662. ^ Buchsbaum, Bradley R.; D'Esposito, Mark (May 2008). "The Search for the Phonological Store: From Loop to Convolution". Journal of Cognitive Neuroscience. 20 (5): 762–778. doi:10.1162/jocn.2008.20501. ISSN 0898-929X. ^ Lachaux, Jean-Philippe; Jerbi, Karim; Bertrand, Olivier; Minotti, Lorella; Hoffmann, Dominique; Schoendorff, Benjamin; Kahane, Philippe (2007-10-31). "A Blueprint for Real-Time Functional Mapping via Human Intracranial Recordings". PLoS ONE. 2 (10): e1094. doi:10.1371/journal.pone.0001094. ISSN 1932-6203. PMC 2040217. PMID 17971857. ^ Jardri, Renaud; Houfflin-Debarge, Véronique; Delion, Pierre; Pruvo, Jean-Pierre; Thomas, Pierre; Pins, Delphine (April 2012). "Assessing fetal response to maternal speech using a noninvasive functional brain imaging technique". International Journal of Developmental Neuroscience. 30 (2): 159–161. doi:10.1016/j.ijdevneu.2011.11.002. ISSN 0736-5748. ^ Petersen, M.; Beecher, M.; Zoloth; Moody, D.; Stebbins, W. (1978-10-20). "Neural lateralization of species-specific vocalizations by Japanese macaques (Macaca fuscata)". Science. 202 (4365): 324–327. doi:10.1126/science.99817. ISSN 0036-8075. ^ Heffner, H.; Heffner, R. (1984-10-05). "Temporal lobe lesions and perception of species-specific vocalizations by macaques". Science. 226 (4670): 75–76. doi:10.1126/science.6474192. ISSN 0036-8075. ^ Shu, W.; Cho, J. Y.; Jiang, Y.; Zhang, M.; Weisz, D.; Elder, G. A.; Schmeidler, J.; De Gasperi, R.; Sosa, M. A. G. (2005-06-27). "Altered ultrasonic vocalization in mice with a disruption in the Foxp2 gene". Proceedings of the National Academy of Sciences. 102 (27): 9643–9648. doi:10.1073/pnas.0503739102. ISSN 0027-8424. ^ Sia, G. M.; Clem, R. L.; Huganir, R. L. (2013-10-31). "The Human Language-Associated Gene SRPX2 Regulates Synapse Formation and Vocalization in Mice". Science. 342 (6161): 987–991. doi:10.1126/science.1245079. ISSN 0036-8075. ^ Cheney, Dorothy L.; Seyfarth, Robert M. (2005). "Constraints and preadaptations in the earliest stages of language evolution" (PDF). The Linguistic Review. 22 (2–4): 135–59. doi:10.1515/tlir.2005.22.2-4.135. ^ Graham Ritchie & Simon Kirby (2005). "Selection, domestication, and the emergence of learned communication systems" (PDF). Second International Symposium on the Emergence and Evolution of Linguistic Communication. Archived from the original (PDF) on 2012-01-21. ^ a b c d Hauser, MD. ; Chomsky, N.; Fitch, WT. (Nov 2002). "The faculty of language: what is it, who has it, and how did it evolve?" (PDF). Science. 298 (5598): 1569–79. doi:10.1126/science.298.5598.1569. PMID 12446899. Archived from the original (PDF) on 2013-12-28. ^ Everett, Daniel L. (2005). "Cultural Constraints on Grammar and Cognition in Piraha Another Look at the Design Features of Human Language" (PDF). Current Anthropology. 46 (4): 621–646. doi:10.1086/431525. ^ Carey, Susan (2001). "Cognitive Foundations of Arithmetic: Evolution and Ontogenisis" (PDF). Mind and Language. 16 (1): 37–55. doi:10.1111/1468-0017.00155. ^ Hockett, Charles F. (1960). "The Origin of Speech" (PDF). Scientific American. 203 (3): 88–96. Bibcode:1960SciAm.203c..88H. doi:10.1038/scientificamerican0960-88. ^ Wade, Nicholas (2006-05-23). "Nigerian Monkeys Drop Hints on Language Origin". The New York Times. Retrieved 2007-09-09. ^ Gibbons, Christopher M. (2007). "The referentiality of chimpanzee vocal signaling: behavioral and acoustic analysis of food barks". Ohio State University. ^ Fitch, WT. (Jul 2000). "The evolution of speech: a comparative review" (PDF). Trends Cogn Sci. 4 (7): 258–267. doi:10.1016/S1364-6613(00)01494-7. PMID 10859570. ^ Ohala, John J. (2000). "The irrelevance of the lowered larynx in modern Man for the development of speech". Ecole Nationale Superieure des Telecommunications Paris – France. Retrieved 4 January 2014. ^ D'Anastasio, R.; Wroe, S.; Tuniz, C.; Mancini, L.; Cesana, DT. ; Dreossi, D.; Ravichandiran, M.; Attard, M.; et al. (2013). "Micro-biomechanics of the kebara 2 hyoid and its implications for speech in neanderthals". PLoS ONE. 8 (12): e82261. Bibcode:2013PLoSO...882261D. doi:10.1371/journal.pone.0082261. PMC 3867335. PMID 24367509. ^ Jungers, WL. ; Pokempner, AA. ; Kay, RF. ; Cartmill, M. (Aug 2003). "Hypoglossal canal size in living hominoids and the evolution of human speech" (PDF). Hum Biol. 75 (4): 473–84. doi:10.1353/hub.2003.0057. PMID 14655872. Archived from the original (PDF) on June 12, 2007. ^ DeGusta, D.; Gilbert, WH. ; Turner, SP. (Feb 1999). "Hypoglossal canal size and hominid speech". Proc Natl Acad Sci U S A. 96 (4): 1800–4. Bibcode:1999PNAS...96.1800D. doi:10.1073/pnas.96.4.1800. PMC 15600. PMID 9990105. ^ Johansson, Sverker (April 2006). "Constraining the Time When Language Evolved" (PDF). Evolution of Language: Sixth International Conference, Rome: 152. doi:10.1142/9789812774262_0020. ISBN 9789812566560. Archived from the original (PDF) on 2006-10-15. Retrieved 2007-09-10. ^ Klarreich, E. (2004). "Biography of Richard G. Klein". Proceedings of the National Academy of Sciences. 101 (16): 5705–7. Bibcode:2004PNAS..101.5705K. doi:10.1073/pnas.0402190101. PMC 395972. PMID 15079069. ^ Klein, Richard G. "Three Distinct Human Populations". Biological and Behavioral Origins of Modern Humans. Access Excellence @ The National Health Museum. Retrieved 2007-09-10. ^ Minkel, J. R. (2007-07-18). "Skulls Add to "Out of Africa" Theory of Human Origins: Pattern of skull variation bolsters the case that humans took over from earlier species". Scientific American.com. Retrieved 2007-09-09. ^ Fitch, WT. ; Reby, D. (Aug 2001). 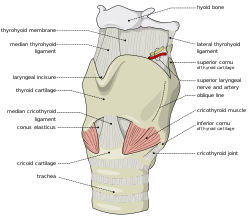 "The descended larynx is not uniquely human". Proc Biol Sci. 268 (1477): 1669–75. doi:10.1098/rspb.2001.1704. PMC 1088793. PMID 11506679. ^ Weissengruber, GE. ; Forstenpointner, G.; Peters, G.; Kübber-Heiss, A.; Fitch, WT. (Sep 2002). "Hyoid apparatus and pharynx in the lion (Panthera leo), jaguar (Panthera onca), tiger (Panthera tigris), cheetah (Acinonyxjubatus) and domestic cat (Felis silvestris f. catus)". J Anat. 201 (3): 195–209. doi:10.1046/j.1469-7580.2002.00088.x. PMC 1570911. PMID 12363272. ^ Lieberman, Philip (2007). "The Evolution of Human Speech: Its Anatomical and Neural Bases" (PDF). Current Anthropology. 48 (1): 39–66. doi:10.1086/509092. ^ John J. Ohala, 2000. The irrelevance of the lowered larynx in modern Man for the development of speech. Paris, ENST: The Evolution of Language, pp. 171–172. ^ Atkinson, Quentin (2011). "Phonemic Diversity Supports a Serial Founder Effect Model of Language Expansion from Africa" (PDF). Science Magazine. 332: 346–349. Bibcode:2011Sci...332..346A. doi:10.1126/science.1199295. PMID 21493858. Retrieved 9 July 2017. ^ Lindsay, Robert (1728). The history of Scotland: from 21 February 1436. to March, 1565. In which are contained accounts of many remarkable passages altogether differing from our other historians; and many facts are related, either concealed by some, or omitted by others. Baskett and company. p. 104. Harnad, Stevan R. (1976). Steklis, Horst D.; Lancaster, Jane (eds.). Origins and Evolution of Language and Speech. Annals of the New York Academy of Sciences, v. 280. New York: New York Academy of Sciences. ISBN 0-89072-026-6. OCLC 2493424. Knight, Chris (2016). "Puzzles and mysteries in the origin of language" (PDF). Language and communication. 50: 12–21. doi:10.1016/j.langcom.2016.09.002. Pollick, AS. ; de Waal, FB. (May 2007). "Ape gestures and language evolution". Proc Natl Acad Sci U S A. 104 (19): 8184–9. Bibcode:2007PNAS..104.8184P. doi:10.1073/pnas.0702624104. PMC 1876592. PMID 17470779.